Since I’ve been using this for few ride, I’ve managed to find an app that works very well with this device. You can use Wahoo Fitness App on this where it is less complicated and easier to set up as compare to IPBike. Also you are able to export your activities to Strava. Plus in terms of connection on the Wahoo App is better as compared to IP Bike. Hope this helps. I’ve been listening to a lot of discussion regarding Cadence, where they were talking about doing 80-90 RPM which got me wondering what is that all about. I first went online to search the type of Bluetooth monitors I should get, and this was one of the many types available out there. As I don’t see much review apart from the sellers report, many stated it works well with Strava. But before I went to make the purchase, I consulted Haro to get his opinion on this. 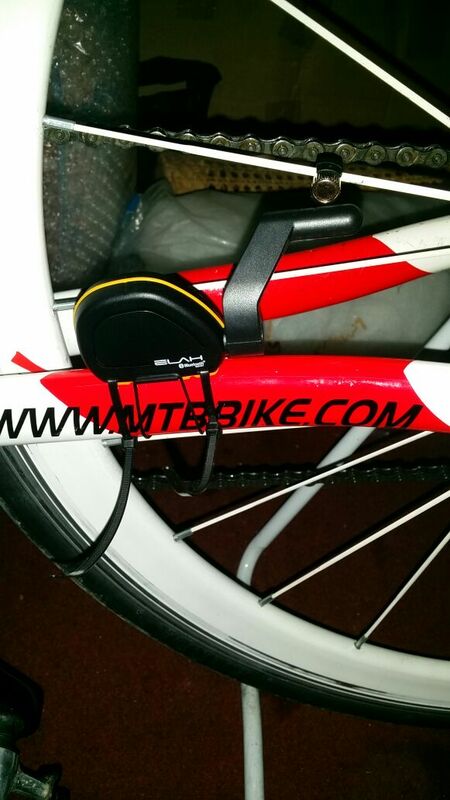 He gave me a site to look for second hand cycling computers, because I was on a tight budget there were some which are able to help me track cadence as well as speed. But problem is that I won’t be able to sync to Strava later. So he said to go ahead with it, since the cost of it I would consider cheap. After waiting for close to 2 weeks, the bluetooth monitor finally arrived. Packaging came in a hard card box, and arrived safely. After looking through the instructions, I realized that the crank magnet was missing. 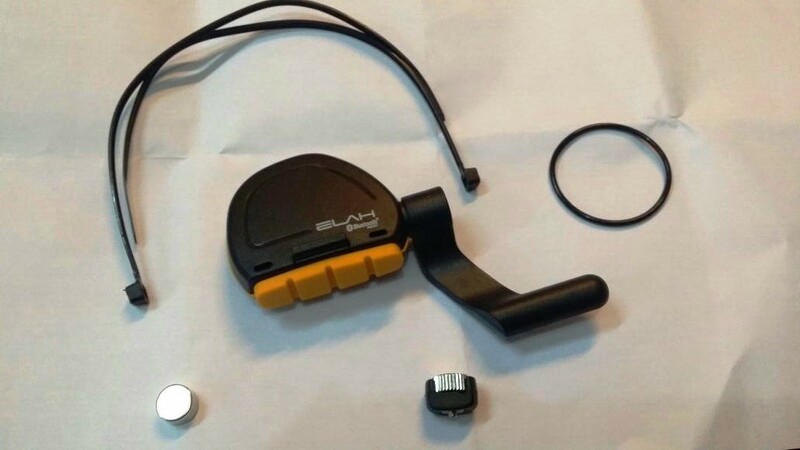 After going through the feedback of the seller, many stated that the crank magnet was actually attached with the spoke magnet. So after carefully separating the two magnets (where someone actually broke his spoke magnet by pulling too hard) I was able to take the full picture above. I also had to use a pair of pliers to unscrew the spoke magnet because it was extremely tight. After I got it to unscrew I was ready to hook it up to my bike. Use MyWay Fit App to test the location of the sensors are correct. Installing the monitor was quite easy and straight forward. I first attach the crank magnet to nut of my pedal, followed by aligning it with the bluetooth monitor where I used the rubber holder to hold it in place first. Here you need an app to test and see if your cadence sensor is installed correctly (Here I used their recommended app MyWay Fit). Initially I had a problem trying to locate the cadence sensor, as I aligned the magnet directly at the center of the device. After going through the manual again, I then only realized that the sensor was actually located at the 40 degrees on the top left of the device. Next was to install the spoke magnet, and this was not as difficult as compared to the crank magnet. The speed sensors is located at the long end of the tail, there is a mark at the center, so just align that to the spoke magnet and you should be fine. I had to adjust the speed sensor to be located on the top instead of behind the rail as it would not fit especially when the spoke magnet passes. After installing both sensors I made a quick test again with MyWay Fit app to try detect both the crank and speed sensors to see if it worked. Once everything is tested fine and well, I used the cable tie to fasten the sensors into place and cut off the excess part of the cable tie. Whole process took less than 20 minutes. After pairing this device with Strava, I noticed that Strava only records the cadence but not the speed of this monitor. My friend Jason asked me to try out both CatEye and IpBike App, as both app supports upload to Strava. The Cateye app was able to detect my Heart Rate Monitor but not for this device, which is quite sad because I really like the simple interface it had. For the IpBike App, you need to install another app called IpSensorMan just to detect Bluetooth 4.0 devices. I was able to pair both my HRM as well as this device quite instantly and I was good to go. But just an early warning as this app in terms of UI is not that user friendly, and will take you a while to get you started. If you want to sync your ride with other services such as Strava, what you need to do is follow these steps. 6. Run through the authorize process and you are good to go. ** It supports other services such as Google Fit, RunKeep, Sporttracks.mobi, TrainingPeaks, Velo Hero, Attackpoint, CyclingAnalytics, RunningAHEAD, and Trainingstagebuch. And the steps are pretty much similar as the above. So this morning, I went and took it out for a spin using IpBike. But before that here are the things you need to do in order for it to work. 3. Ride your heart out. So now I was able to track both my speed as well as my cadence when I started cycling. One thing I noticed was that IpBike kept my display on throughout the whole ride, so I was concern regarding the battery life. Anyway after cycling for over 30 minutes I decided to head back home and see how I did. Once I reached my destination, I went and “Stop Trip”, and head over to the ride history to see what the results were. Cheap – For something less than RM100, I could say I’m quite impress with the results it gave me. 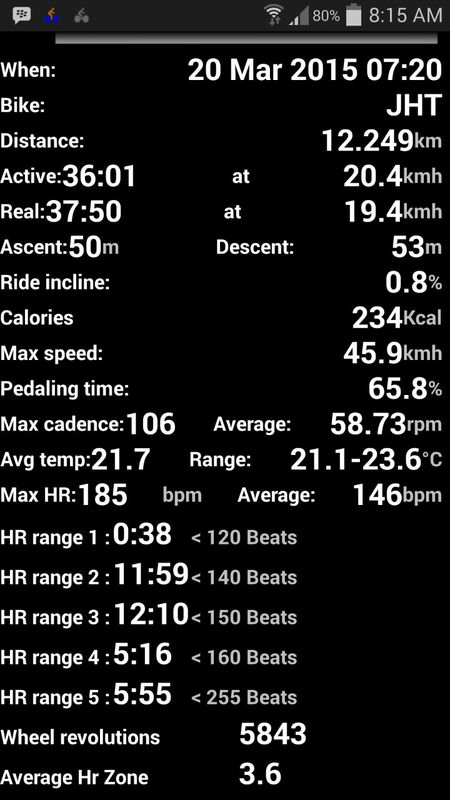 At least now I know what actual my stats for speed and cadence is, and how I can slowly improve on my cycling. Easy Installation – Installation is so easy, you wouldn’t need to pay extra for someone else to help you do it. Bluetooth Low Energy – Using version BT4.0, it uses very low power consumption and won’t hurt your phone battery life. As mentioned earlier IpBike app was switched on the whole time as I was cycling, and only took approx 8-10% of my battery life. So I’m pretty pleased on this end. Viewing difficulties – I think this would pose a problem to some people, especially to those who always use their back pockets to store their phones. For my case I had a bag which helps you to view your phone while riding, or you could opt for those mobile phones mount to sort this issue. Limited Apps – At the moment not many app supports this combo bt device apart from IpBike where it detects both speed and cadence. Strava only records the cadence, but does not record the actual speed on this device. Who knows in the future there are more apps to be released for this. But for now, I’ll stick to IpBike. IMHO, as a casual rider I think this gear is good enough for me. The fact that I’m able to analyze my riding activities now will indeed help me improve on my cycling. Considering my last trip to Bau that was about 4 hours journey my battery left only 1%, this will indeed help me extend the battery life. But for those of you who are really committed to cycling, maybe you should really invest in a better cycling computer that has all these features. As for me I’m pretty much satisfied with this, and if you want a cheap alternative this would be it. I got mine from Aliexpress. I have two pieces of EALH BT003 / BT003 Elah Speed & Cadence Bluetooth Monitor can not be paired in iphone 4S and iPhone 5, the device is not found, you have the solution?????? Did you try pedalling it when trying to pair? Because after I set it up. I had to crank my pedals and wheels in order for it to detect. What app did you use to pair it with? I see that you have the speed&cad censor for almost a year. Have you changed the battery or do you use still the same? I use “MyWay Fit” that connects well with this device. the problem is that the app does not record well the history and profile height and weight. Sorry to hear that. As these devices are not well known, so some phones may have issues recording it. I bought same sensor. Followed your instructions, however, the cadence and speed sensors are not getting detected in any app except the sensor’s native MyWayFit app (which is pretty lousy!) on my OnePlus One. It does not show up on the list of Bluetooth devices (under the phone’s settings), but does show up inside the app itself! Would you be able to help in getting this setup with Sportractive (rated 4.8/5 on the Play Store). Hi Jay. sorry for the delay in getting back to you. Anyway, I’ll try to set up with Sportractive. in the mean time I suggest you try using Wahoo fitness. Works well with that app instead, and you can export your data via gpx and upload to whichever site you use to analyse your ride. Thanks for the reply. I tried with Wahoo, but it doesn’t detect either of the sensors. I tried with Ride with GPS and that seems to detect. The issue with Sportractive is, it only tries to talks to devices already paired with the Android OS. Devices like the Elah sensors and typical low cost Chinese smartwatches don’t turn up/pair in Android Bluetooth Settings. Only their own native apps appear to be able to talk. I’m guessing this is either because of no advertisement policy of BT devices/encryption. Will try once more with Wahoo. Weird. I can’t seem to get it to pair with Sportractive as well. I’ll try changing the batteries and see if that works or not. Will update you shortly. Cool. I tried with Wahoo Fitness again, but it’s not detecting the sensors. Downloaded the Wahoo Utility app as well, but that too doesn’t detect. Is there anything else (apart from keeping the sensors occupied by pedalling the wheel and clicking on the device detection icon) in trying to get these detected with Wahoo? What did you do to get them talking? I’m trying with as many apps from Play Store as possible, but I guess until I have a solution, I’m stuck with the MyWayFit app. Just got the EALH for Christmas, installed fine, but how do I change it from KM to MPH? Which app are you currently using? Normally it’s inside the setting of the app to change the KM to MPH. Hope that helps readers. Happy cycling. Whew! There ends my exhaustive search! Glad everything worked out for you in the end. And thanks for the tips regarding the apps. Will definitely help others out!